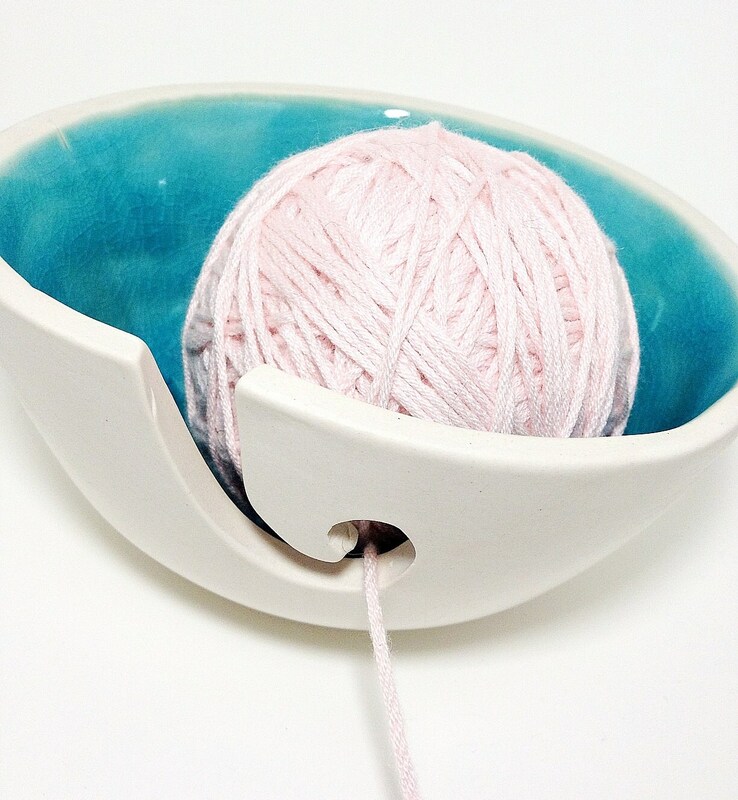 Hypnotizing color!, here is a unique yarn bowl for your knitting or crocheting. 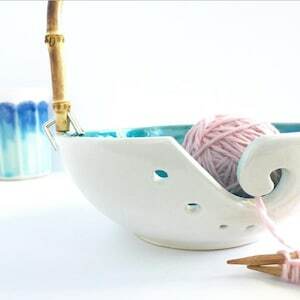 It was handmade out of porcelain with a wide flat bottom so it won't tip over while you pull your yarn through.The outside is glazed in a glossy white, and the inside is glazed with a turquoise crackle, making a stunning combination! 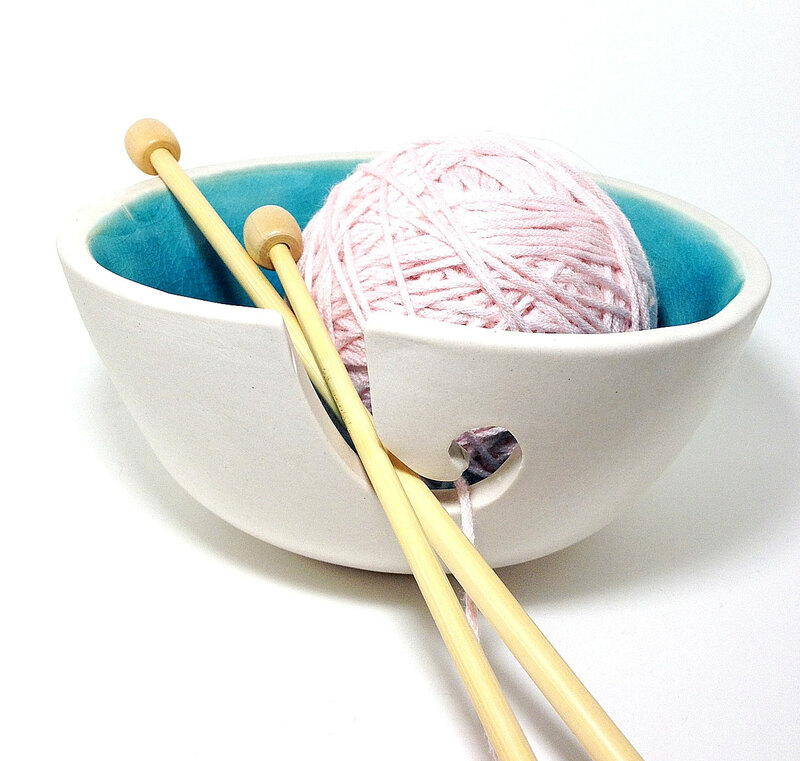 I have in the photo a ball of cotton worsted yarn, 160 yards of it, and it fits and rolls just perfect in it!. 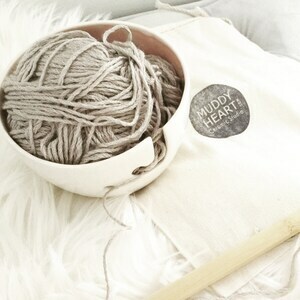 It is a pleasure knitting with it!. 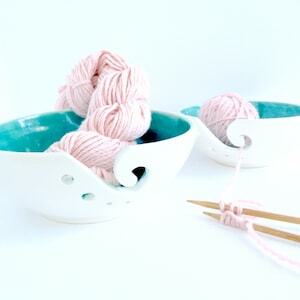 Perfect gift for yourself, a knitting/crocheting friend! Large Bowl: Aprox. 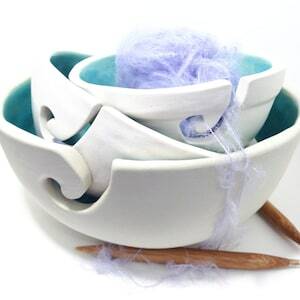 8 inches in diameter x 3.25 inches tall. Medium Bowl: Aprox. 7 inches in diameter x 2.75 inches tall. 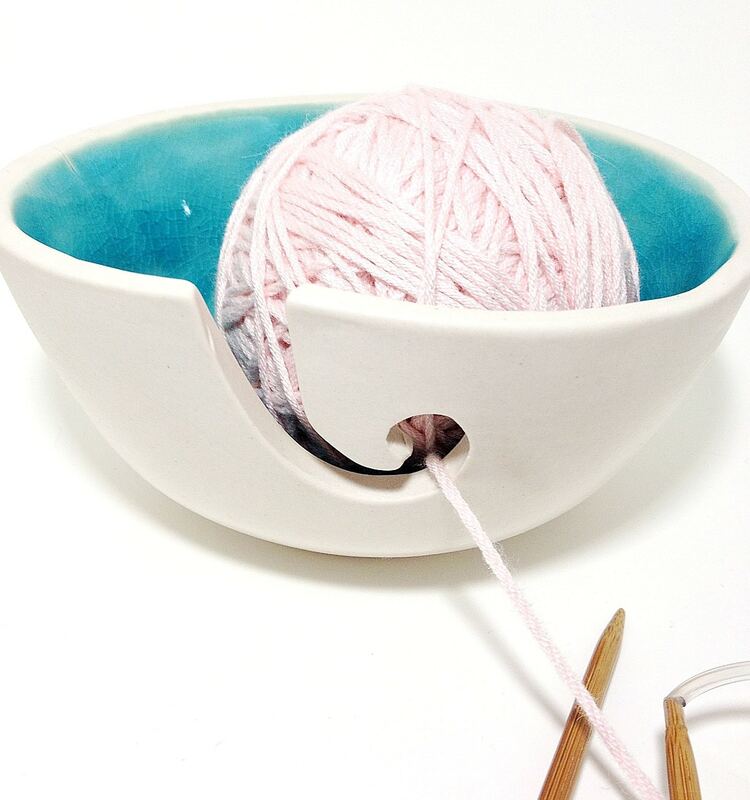 Small Bowl: Aprox. 6 inches in diameter x 2.5 inches tall. Good gift for a friend. the final product is very nice. It was in a nice gift box too! Very well-made and absolutely beautiful. It made me look like a great gift-giver, LOL! 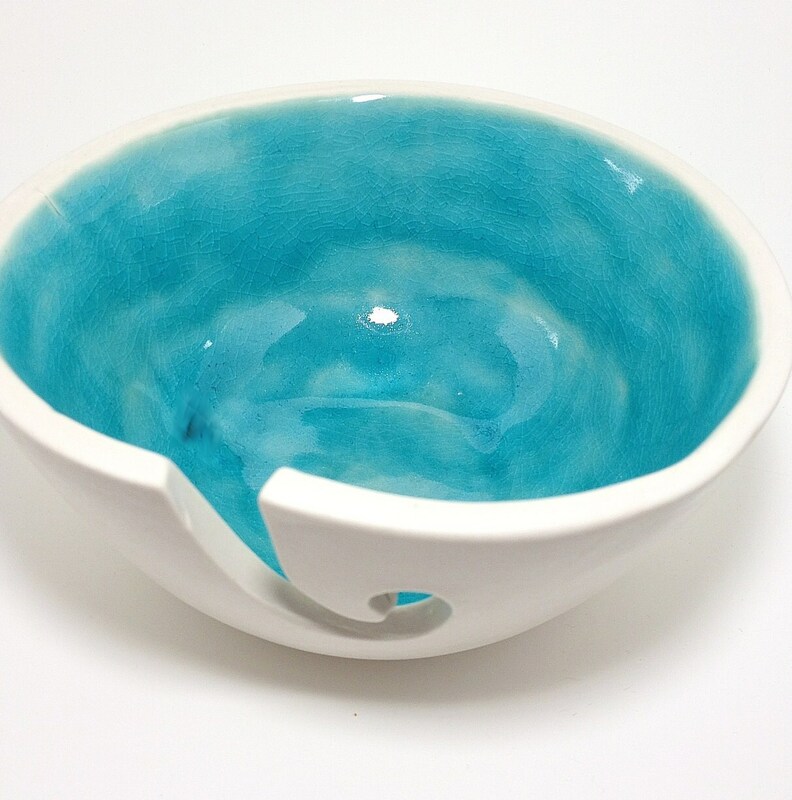 I bought this as a gift for a friend in another state so I didn't get to see the bowl but the recipient liked it. Service was quick. thanks!